Front loading washing machine appliances are supposed to use much less water than top loaders, with the accompanying dryers consuming less electricity. Is this true? And what about those disturbing reports describing front loading washers that vibrate across the floor during spin cycles, or taking forever and ever to complete a wash? 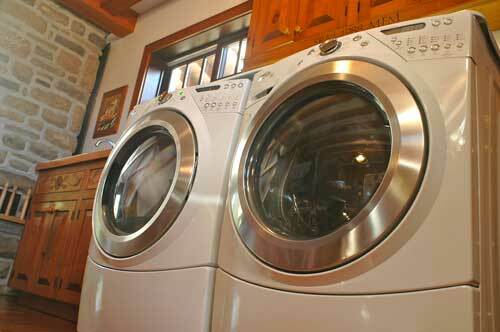 To answer these questions I tested a Whirlpool Duet washer and dryer pair, comparing them side by side with the good old Maytag top loader and Hot Point dryer we’d been using at my place for almost twenty years. 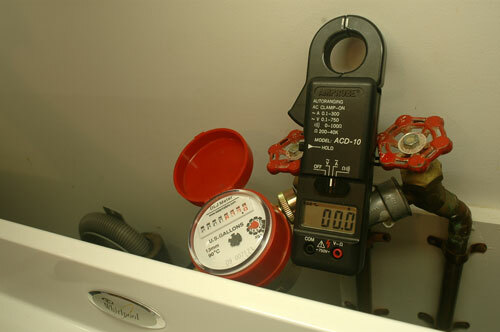 I used two pieces of test equipment to gather information – a water flow meter plumbed into the water supply lines on both washers, and an ammeter to measure electricity flow to the dryers. We completed dozens of identical, reproducible loads in each pair of machines, measuring water consumption, electricity use and cycle times for both. One kind of reproducible load we ran during our tests involved household bath towels. To accommodate this much laundry in our old Maytag you need to run the washer at the extra large setting. And by the time all washing, rinsing and spinning was over, a whopping 140 litres of water was dirty and down the drain after the 70 minute cycle was over. That’s way more than I would’ve guessed given the size of the top loader’s wash tub, but multiple readings from the professional-grade water meter told the same story. All front loading washers I looked at during my research decide on their own how much water to use. This means you don’t set a load size in the traditional sense, though water usage does go up and down depending on how much cloth you put into the drum. Washing the same load of bath towels in the Whirlpool consistently used only 40 L in total, or 70% less during the speedier 50 minute cycle. If we’d used a front loader for all the time we’ve used our top loader it would have saved almost 1,000,000 L of water, or 40% of what’s required to fill an olympic size swimming pool. Front loading washers wring clothes exceptionally dry by spinning them fast – about 1300 revolutions per minute (rpm) in the case of the Whirlpool, compared with 500 rpm for most top loaders. But despite these high spinning speeds, vibration of the washer wasn’t an issue during my tests, even on the wood floor where we had the machine parked. And once they got to the dryer, clothes dried much faster, too, though part of this increase in speed comes from greater electricity draw by the new dryer. Where the old Hotpoint used 3100 watts of energy, the Whirlpool consumes it at a rate of 5500 watts on the medium heat setting, according to my measurements with an ammeter. That said, total electricity use is still about 20% lower for the new dryer – less than I would have guessed, though this number doesn’t explain everything. Depending on how careless you are setting dry times on a conventional, timer-controlled dryer, modern dryers with moisture sensors can save a lot of energy. By automatically shutting off the machine when clothes are actually dry (instead of your best guess about how long they might take to get dry), potentially lots of electricity is saved. The numbers prove that washers and dryers really are more efficient than they were 20 years ago. 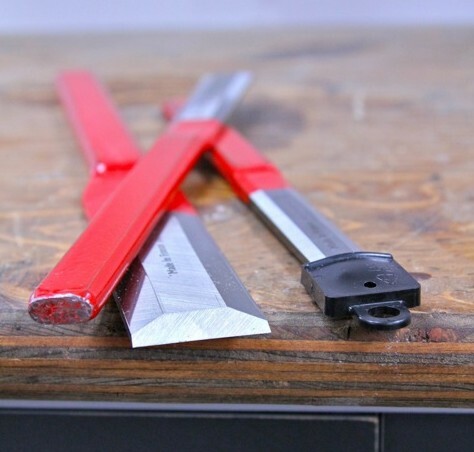 Some people claim that front loaders don’t clean as well, but the findings at or house are just the opposite. Long-standing stains that never came out even after presoaking and washing in the top loader are completely gone after the front loader. Just remember to leave the door open a little bit at night to let the drum dry out and stay fresh, and there’s no reason I can see to favour old technology over the new.